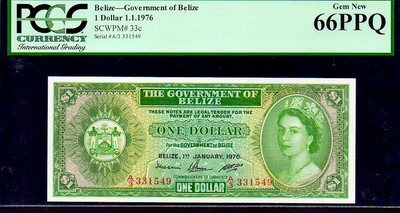 BELIZE P33c $1 1976 PCGS 66PPQ “QUEEN ELIZABETH II’ This piece has nearly perfect Centering / Margins and gorgeous vibrant Colors! 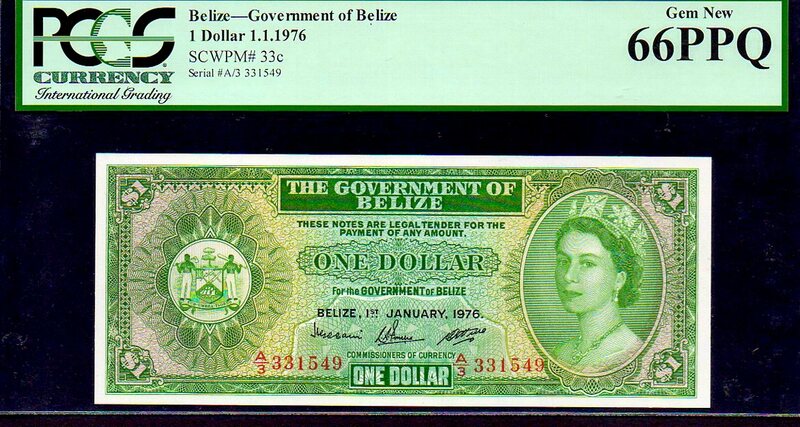 We have the whole set of this Highly Desirable note type featuring the Queen E! 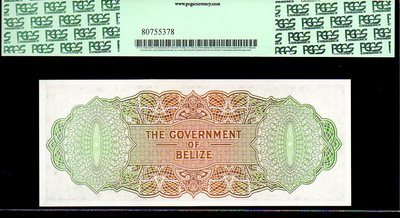 BELIZE P34b $2 1975 PCGS 65PPQ “QUEEN ELIZABETH II’ This piece has nearly perfect Centering / Margins and gorgeous vibrant Colors! 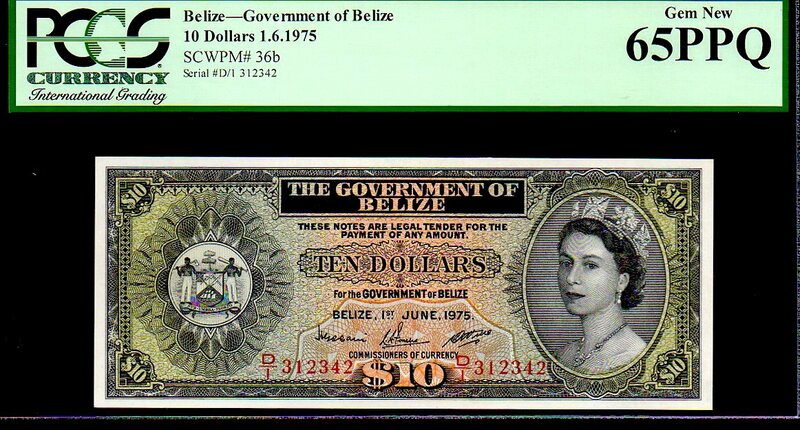 We have the whole set of this Highly Desirable note type featuring the Queen E! 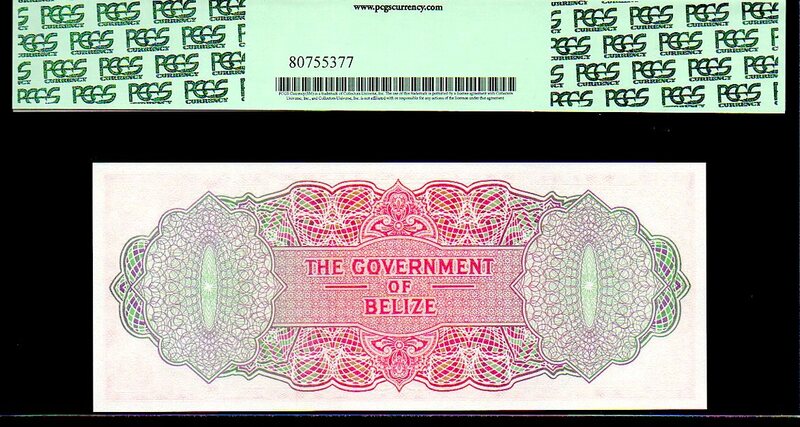 The Colors are so deep on this piece and the margins really seem to be more of a 67 or better to me. BELIZE P35a $5 1975 PCGS 67PPQ “QUEEN ELIZABETH II’ This piece basically has perfect Centering / Margins and gorgeous vibrant Colors! 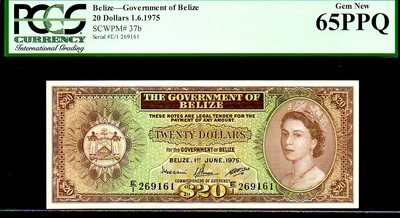 Looks like at 68 to me (picture perfect margins) We have the whole set of this Highly Desirable note type featuring the Queen E! 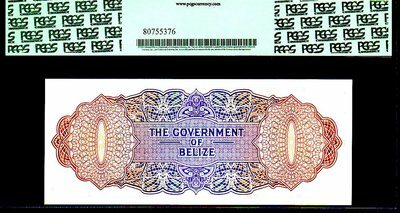 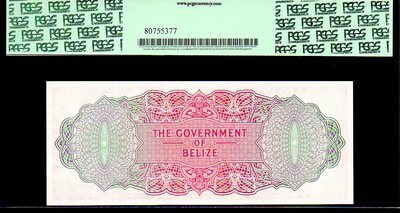 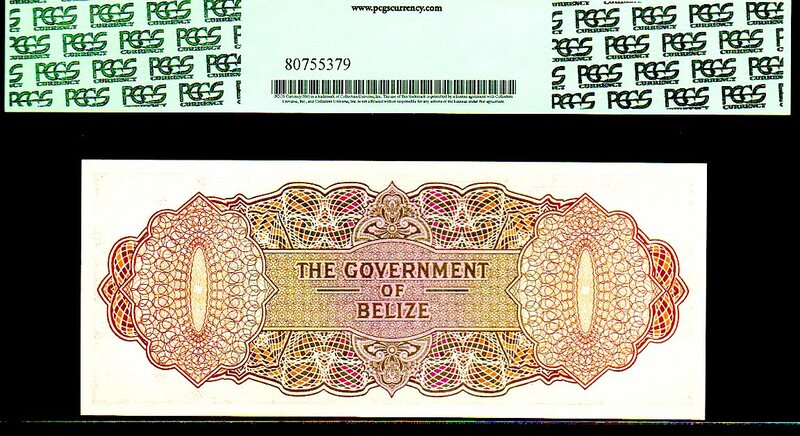 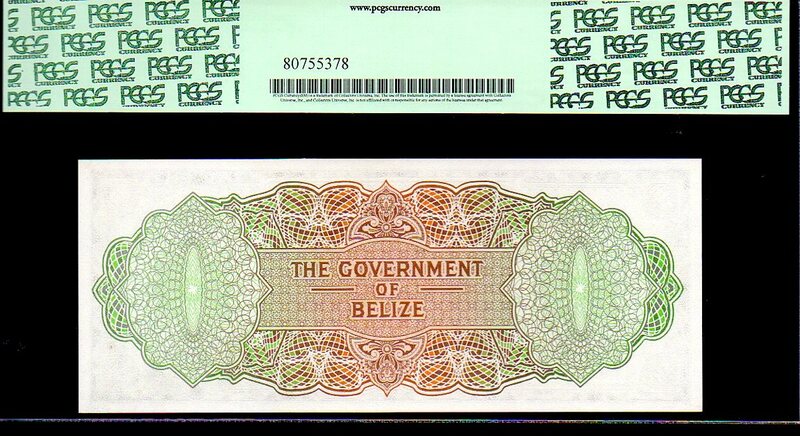 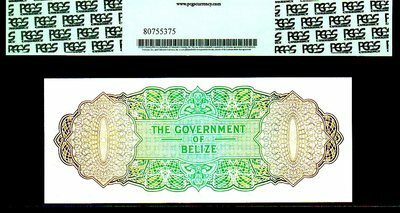 BELIZE P36b $10 1975 PCGS 65PPQ “QUEEN ELIZABETH II’ This piece has nearly perfect Centering / Margins and gorgeous vibrant Colors! 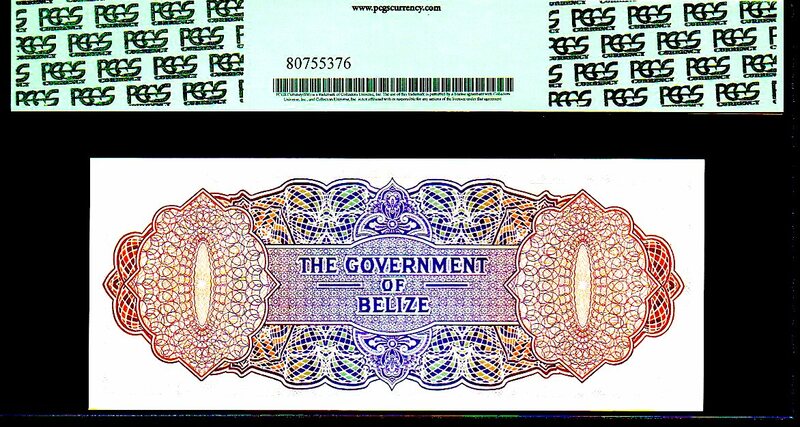 Again, this piece looks like a 67 or 68PPQ to me! We have the whole set of this Highly Desirable note type featuring the Queen E! 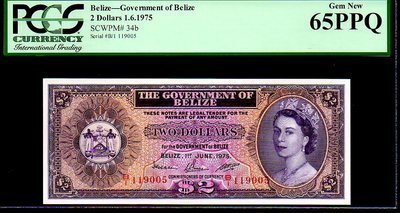 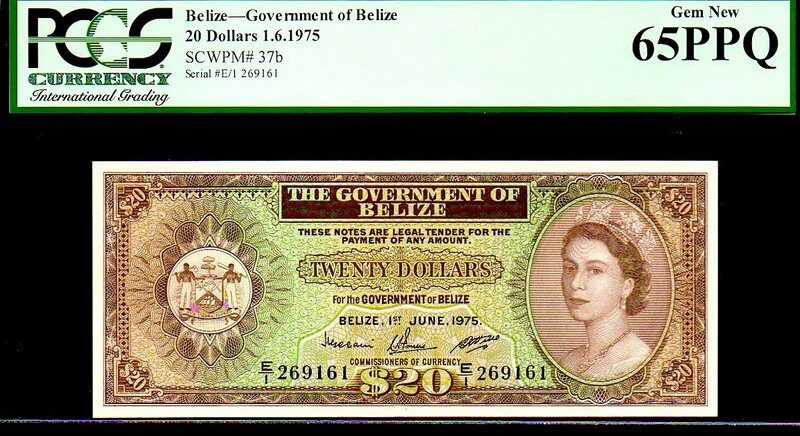 BELIZE P37b $20 1975 PCGS 65PPQ “QUEEN ELIZABETH II’ This Highest Denomination piece has nearly perfect Centering / Margins and gorgeous vibrant Colors! 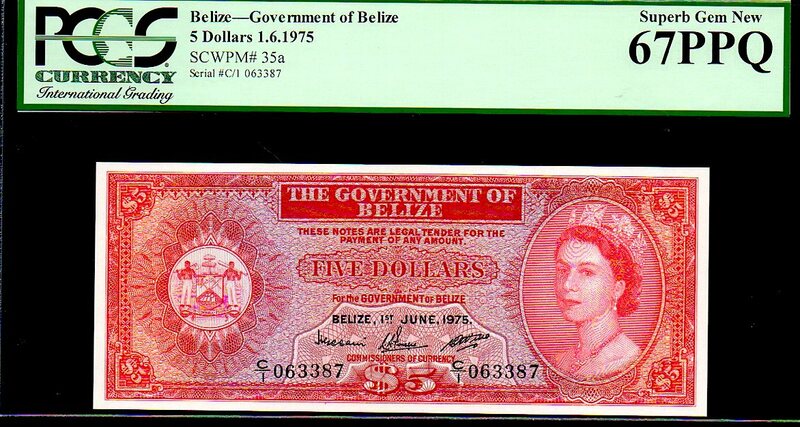 We have the whole set of this Highly Desirable note type featuring the Queen E!